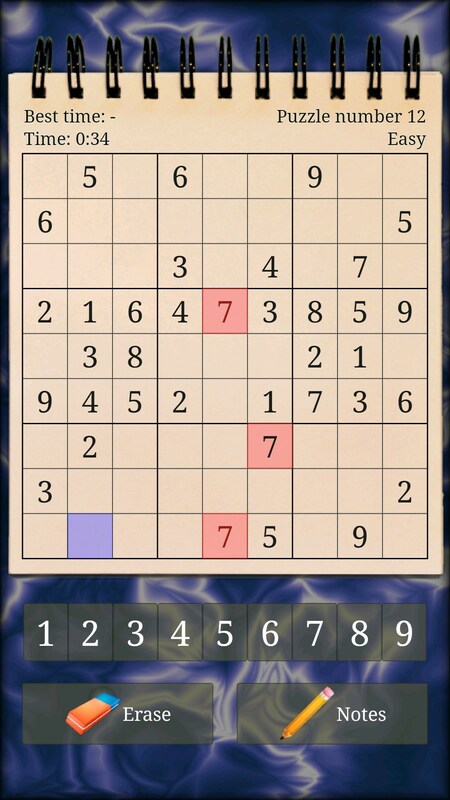 In Sudoku Puzzle you play the classical logic based number puzzle Sudoku where you given a number of clues should place the numbers 1 to 9 on a 9x9 grid such that each number appears exactly once in each row, once in each column and once in each 3x3 box. To your aid you have a numbers of clues (prefilled numbers). 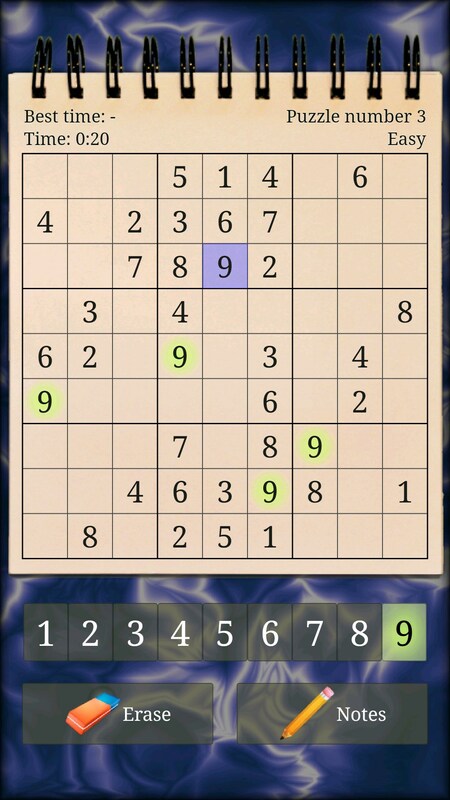 Given these there is exactly one solution to every Sudoku puzzle and you should try to find it as quickly as possible. Six difficulty levels ranging from easy to brutal. 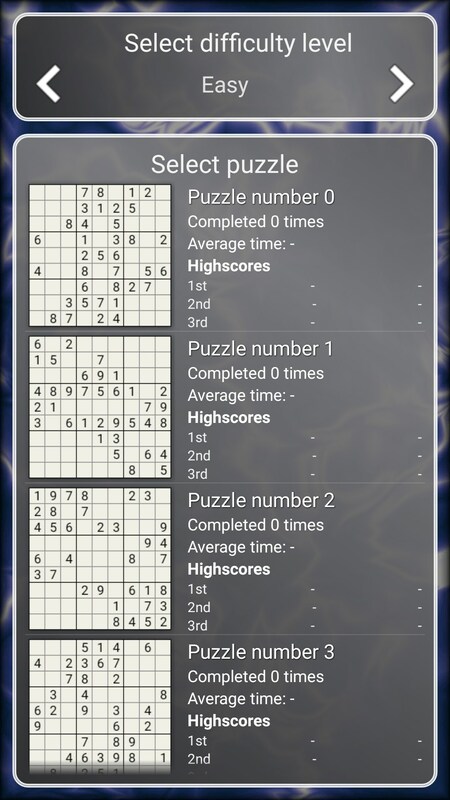 Highscore functionality that you can use to compete with yourself on each individual puzzle. Statistics for each difficulty level. Simple Sudoku rule checking (highlighting of collisions). Sound effects that can be turned on and off. Resume game functionality (the 20 most recent games are stored).